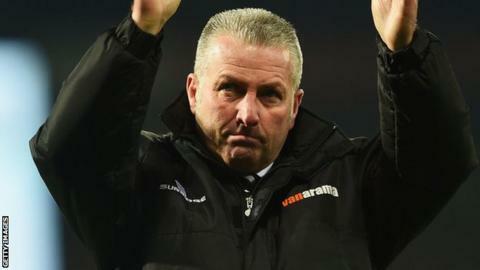 Manager Gary Mills has challenged his Wrexham players to extend their winning run in the National League. Wrexham lost their opening game of the season at Bromley but have won three consecutive games to move up to third in the table. The Dragons could go top if they beat Welling United at the Racecourse on Saturday. "We've won three and we've got to make sure we win four," Mills said. After home wins over Torquay United and Aldershot, Wrexham secured their first away win of the season at Kidderminster on Tuesday. Mills' side will be looking to maintain their 100% home record against 14th-placed Welling on Saturday. "It's a tough challenge but for ourselves a mental challenge on the back of three wins," Mills said. "How good are we mentally? Are we thinking about the last three games or are we looking forward to the one ahead against Welling and to go about our jobs and win our fourth. "We are going to find out more about ourselves on Saturday."